We have settled in to our routine here in the MTC. We are kept very busy with our responsibilities. We have seen several groups of missionaries come, get trained, and then leave for the mission field. Our 6 week missionaries are learning a language, either French or English, so we get to know them better because they are here longer. We are coming up on the time when they will be done with their training and ready and anxious to get out and get to work. Along with our multiple duties to keep our missionaries happy and healthy, we get to attend many of their devotionals. It isn’t unusual to be asked to come up and share our testimonies with them. Sometimes, we sing to them. At one of the devotionals, we sang a duet in French and when we were done, they broke out in loud applause that filled the room. Now that’s a first for us at a Sunday meeting. They are very enthusiastic in many ways and sing with gusto always. 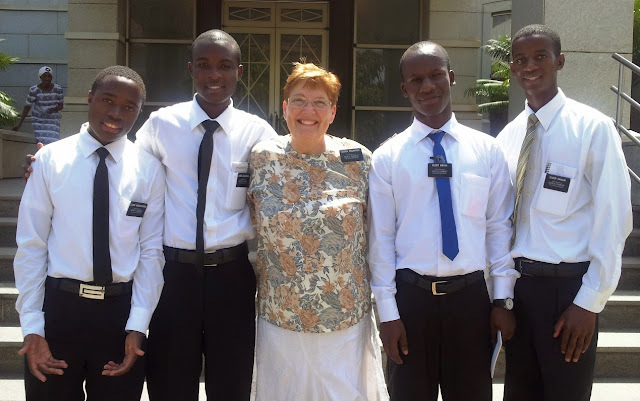 We were at the temple with our missionaries the other day, and we were waiting outside in the garden area for the others to come out. Some of our missionaries came out to wait too, so they came over and said Hi to us. 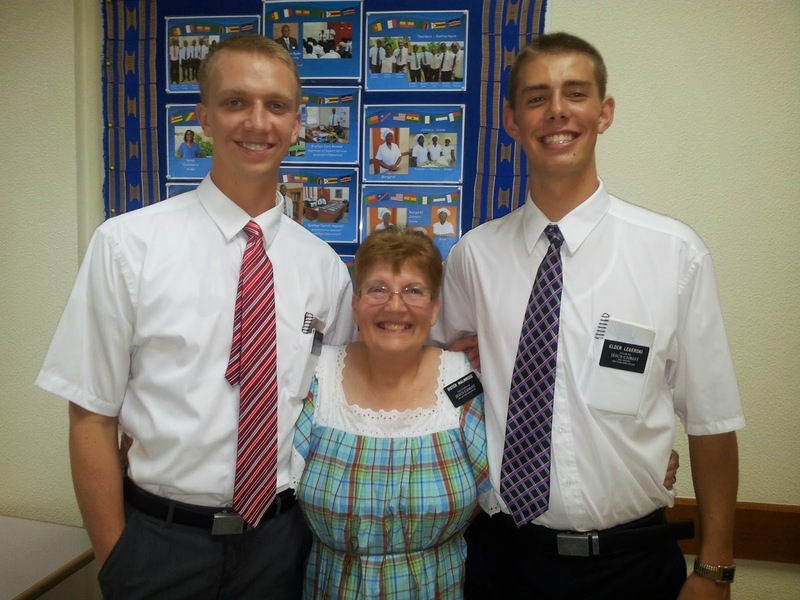 One Elder shook my hand and then held it and looked into my eyes and said, “All of the missionaries really, really love you Sister Malmrose.” I thought that was sweet. I think they like to have someone they can talk with when they don’t feel well or are a bit homesick. And that’s part of my calling. Sometimes I get a little impatient, but when things like that happen, it makes it all worthwhile. We have not minded the weather so far. It is warm and humid, but not too bad. They tell us that it will be warming up and should be quite hot by Christmas. It is a bit weird to have the sun come up every day at 6 AM and set at 6 PM regularly. So far, we have had good food and probably too much of it. The sweet lady who runs the cafeteria here, often sends us up leftovers during the day. We either eat it as it comes, or I make it into something else. The people here are very kind and generous. We don’t eat out often and are careful where, but occasionally we do go out and have pizza or something like that. Fortunately, they have very good ice cream at the restaurants, so that makes Gerald very happy. Here are a couple of pictures of several of our groups on devotional days when an area authority comes and meets the missionaries and gives them encouragement for the challenges ahead. They always do a great job. This is a picture of what they call the “man dress” that many of the natives wear around here. It is comfortable to wear around the house, but they don’t wear them out in public. Pres. Robison and Gerald are really getting into the African theme. 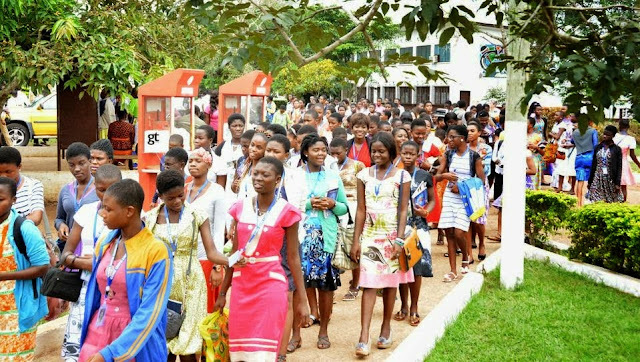 Ghana does have a Muslim population, so we do see women dressed with the head scarves, etc., but not too often. One of our Relief Society counselors is a convert from the Islamic faith. 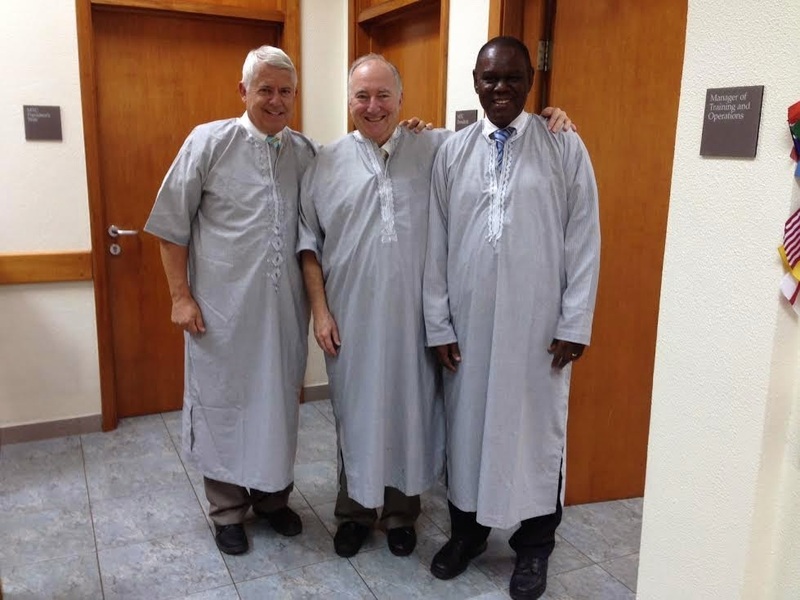 Another wonderful trip to the temple in Accra. The end of the day at the temple. The black elder on my right is rather interesting. I was surprised when I started talking with him and he didn’t have an accent. I said, “Where are you from Elder?” and he answered “Provo, Utah. Ever heard of it?” We do a lot of mix and match of cultures here. Time flies by quickly for those who are here less than two weeks. Before very long, they are ready to say goodbye to us and be out in the mission field putting their training into practice. We usually have about 20% sisters in our groups. They are quite the ladies, and we come to love them. This Sister Olivarius is from Martinique going to Madagascar. She has a sweet personality as you can see by her smile. She is a good friend of Yva Jean-de-Dieu who we knew well on our earlier mission in the French West Indies. 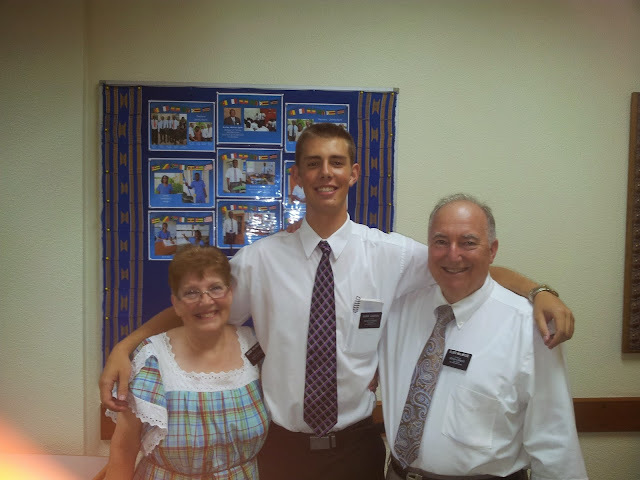 Our Elders aren’t too bad either, even though most of them are a little tall. Sometimes I feel like I am in a forest of tall trees. Nevertheless, they are super nice young men, and we enjoy them greatly, even they are white “ebrunies”. 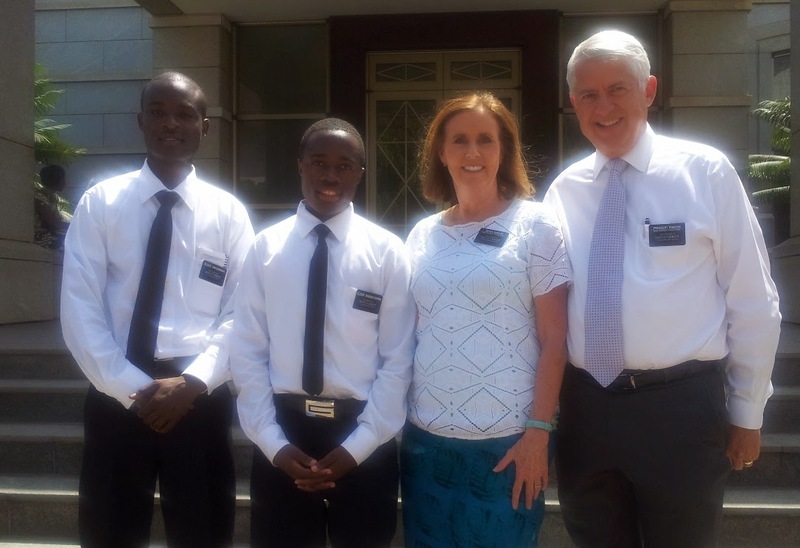 On the property of the MTC, is a ward building, so we get to see members from the wards coming and going from time to time. It is neat to see them all dressed up in their Sunday best and coming as families should, to attend their meetings. We also have missionaries from the Ghana mission, who serve in those wards and on “P” day they will come and borrow the basketballs or soccer balls and play some sports. The other day I looked out the window while I was doing dishes and saw them sitting around on the little wall around the soccer field, playing a guitar and singing, just for fun. Well, I couldn’t resist; so I went and got Gerald, and we went over and sang with them. They handed me the guitar and were surprised that I could play it. So, we gave them a duet and had a lot of fun being with them. They are from the U.S., Pacific Islands, and Africa. It’s fun to see how they get along so well. Soon, we are sending another group off into the real world. We hope we have done our job to help them be prepared in every way. They have many challenges ahead, but we have faith in them. The night before they leave the MTC, we always have a farewell get-together and just enjoy each other. They often sing their favorite songs. 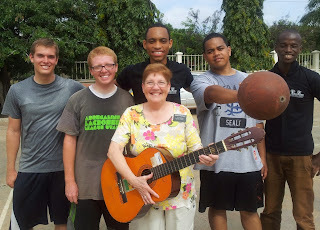 This missionary was great at playing the hymns, but he also could play honky-tonk and other fun piano tunes for us to sing along with. What fun! 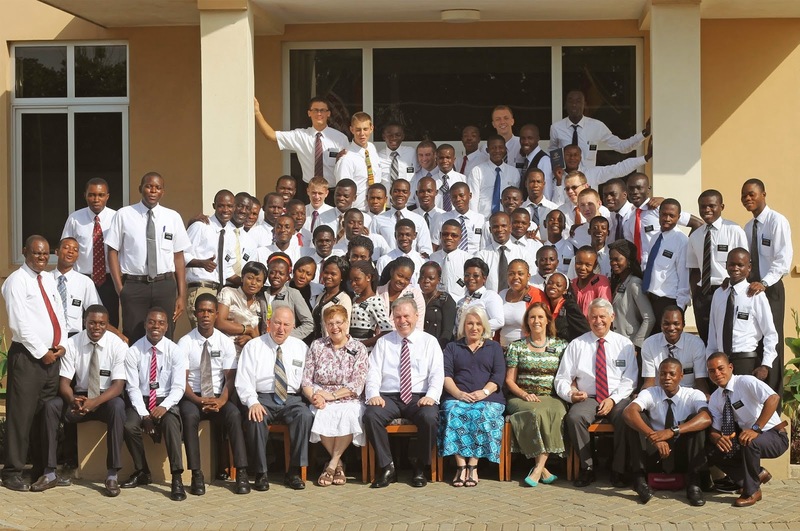 The stake that our MTC is in had a youth conference recently, and we were so glad to see such nice young folks attend in great numbers. Boy, do they love to sing and dance too. Must be part of the culture. 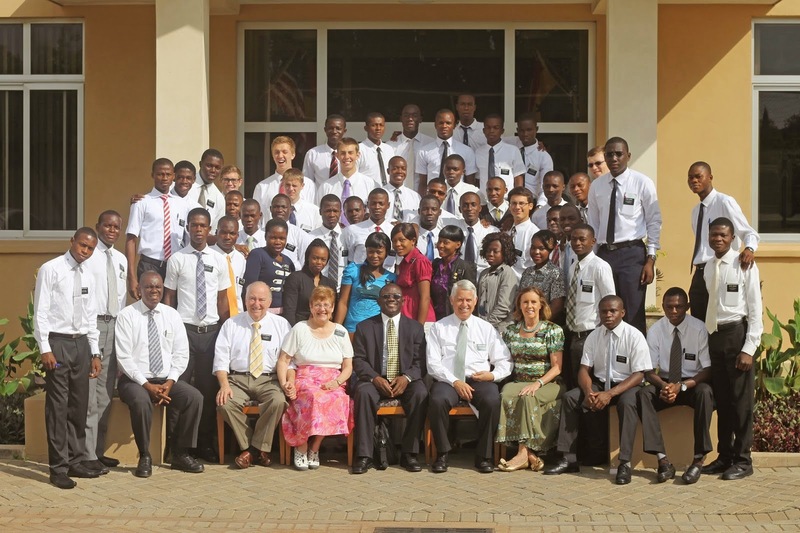 I'm sure some of these are our future missionaries. This is Dr. Kissi, who is an early pioneer in Africa for the Church. 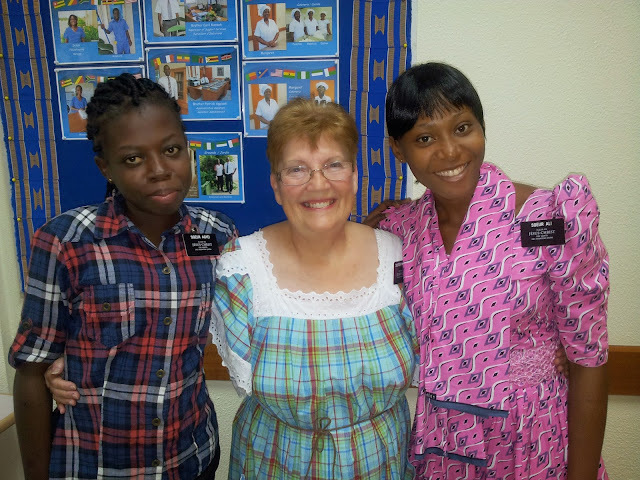 He does the medical exams for those who serve in Ghana, so we get to see him regularly. We were able to get a copy of the book that he wrote that gives the history of how the Church has developed and grown over the years. We'll bring home a copy. It is really interesting to see how much these people of faith went through in the early stages. It must be gratifying for them to see the tremendous growth taking place now. All in all, we work tirelessly, day in and day out, and never take a break.